Approximately 3 million people in the United State seek detox every year. As drug and alcohol users look for rehab treatment options, they might find facilities offering medical detox. Medical detox is a process enabling the person to get used to an alcohol and drug-free life slowly and with the aid of a medical professional as opposed to quitting cold turkey. Medical detoxes usually keep addicts from resuming their previous unhealthy habits, which is why it is essential to the process for long-lasting recovery. Addiction is mental and physical for most people because when someone is used to taking alcohol or drugs frequently to get high while increasing the dosage every time, then this person is only craving the experience. An addict without any assistance must find the motivation to avoid anything, anywhere, or anyone enabling his or her negative lifestyle. After quitting drugs or alcohol, withdrawal symptoms will ensue such as anxiety, trembling, or stomach upsets aside from other symptoms that make quitting these substances even harder. Medical detox is usually the initial and most crucial step of recovery from addiction because it allows the person to benefit from therapy and counseling after physical stabilization. Medical detox includes ridding the body of foreign these foreign substances while managing any symptoms of withdrawal as needed. There are various kinds of medical detox just as is the case for drug rehab. Each kind of medical detox is specialized to meet the needs of a specific individual and a specific addiction. When someone repeatedly or constantly uses a specific substance, there is a chance that he or she will develop a physical dependence on the substance over a period. This physical dependence is the body’s way of naturally adapting to the drug’s presence in the system and after it has been established significantly, the body will need the drug in order to function normally. When someone physically dependent on a substance reduces use dramatically or stops using it, he or she will experience withdrawal symptoms. The withdrawal symptoms are different for each substance with the symptoms ranging in severity from life threatening to mildly uncomfortable. The severity of these withdrawal symptoms can also change based on the individual’s physiology and how sever their addiction is. How Long Does a Medical Detox Take? The timeline for withdrawal usually varies with each substance and even within classes of drugs. The development and resolution of these symptoms is generally affected by the average dosage used, the frequency of use, the means of administration, and the substance’s half-life (which affects average duration of the substance’s effects). Even though you may experience the symptoms immediately for some of the substances, others may not produce withdrawal symptoms immediately. The withdrawal symptoms for stimulant drugs usually present themselves within hours to days following the last dose. Withdrawal symptoms for sedatives may appear as hastily as several hours or they may be delayed by several days after the last use. Withdrawal symptoms for opioid drugs such as painkillers and heroin usually appear within a period of 6 to 12 hours following the most recent dosage and they diminish within a week or so. Long-acting opioid drugs might have a more delayed and longer timeline as the symptoms can appear 2 to 4 days after the last dosage and take longer to diminish entirely. The withdrawal symptoms for alcohol usually emerge within a period ranging from hours to days after reducing or quitting consumption. The severity of withdrawal symptoms varies among different people with factors such as physical and mental health, gender, age, and physiology playing a role in the timeline and severity of the symptoms. Different kinds of interventions can impact the duration of these withdrawal symptoms because the administration of medication during a medical detox can lengthen the process to some extent. A social detox program on the other hand does not intervene with the addiction medically. Social detox or non-medical detox is the stoppage of substance use cold turkey while under close observation from treatment professionals. This type of detox includes provision of psychological and emotional support to the patient by professionals all through the withdrawal process. However, no medication is administered to the patient to help in managing the complications and symptoms. Even though this method can be efficient in helping people withdraw from psychoactive substances, it also has it’s challenges. One of the biggest challenges associated with this kind of detox is the potential for unpleasant withdrawal symptoms occurring. The individual must go through some possibly uncomfortable withdrawal symptoms as the body gets used to the lack of drugs in his or her system. The withdrawal symptoms can be quite severe depending on the exact drug, causing the person a lot of discomfort and in some cases putting the person in medical danger. The person can relapse in order to relieve their cravings and withdrawal symptoms as a result. One of the biggest risks of relapsing is overdosing. After abstaining from the drug for a significantly long time, his or her tolerance will decrease markedly as well meaning they do not need as much of the drug as they did before. Most people who relapse go back to using the dose they were abusing before and this can result in a potentially deadly accidental overdose. The other risks of going into a natural detox program include the possible progression of psychological problems during the withdrawal period and reduced capacity to handle these problems sufficiently. Usually, withdrawal symptoms from different substances also include mental health problems such as insomnia, emotional blunting, delirium, anxiety, suicidal attempts, or thoughts, and depression. 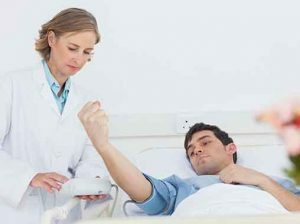 Medical complications can also occur during the withdrawal period. Generally, social or natural detox is not advisable for withdrawal from opioids, barbiturates, benzodiazepines, or alcohol because of safety and humanitarian concerns. The symptoms emerging when someone stops using these drugs are usually painful and potentially fatal except those associated with opioids. Medical detox offers patients with medical treatment and medication to help in addressing and preventing any complications. As mentioned before, withdrawal from barbiturates, benzodiazepines, and alcohol can be dangerous to try alone because of the risk of severe symptoms. Seizures requiring medical management can happen and this might not be available in a non-medical detox. Withdrawal can also cause an agitated and confused state of delirium whereby the individual can experience hallucinations and present unpredictable, dangerous behaviors. These disturbances in cognition and consciousness can cause violence, erratic behavior, and accidents. Medical detox is beneficial for ensuring one’s safety during the withdrawal period if he or she is addicted to alcohol or drugs. Medical intervention with drugs such as anticonvulsants or benzodiazepines can be started to prevent the complications of withdrawal from alcohol. Even though opioid withdrawal is not medically dangerous, it can lead to intense discomfort therefore most people go back to using them in order to relieve these painful withdrawal symptoms. This is why medical detox can be beneficial for anyone with an addiction to these drugs. MAT or Medication Assisted Treatment is the administration of medication in order to reduce cravings and withdrawal symptoms and it is crucial for medical detox for opioids. The medication used can prevent medical complications, reduce cravings, and reduce distress caused by the withdrawal symptoms. These drugs include Buprenorphine and Methadone. Buprenorphine is a partial opioid agonist and it gives off a less pronounced opioid effect compared to a full agonist such as methadone. Physicians authorized to treat opioid dependence using buprenorphine can prescribe the drug. A combination formula of naloxone and buprenorphine known as suboxone is a medication known to block the effects of opioids. Suboxone helps to prevent abuse of this medication. Methadone is a full opioid agonist that attaches to the opioid receptors situated in the brain and activates them to reduce cravings as well as the unpleasant withdrawal symptoms. Methadone is typically administered as a pill, an oral concentrate liquid, or an orally disintegrating wafer in order to treat opioid dependence. Methadone can only be dispensed through OTPs or opioid treatment programs. Buprenorphine and methadone can solely be used as detoxification medications or they can be used during maintenance management for the prevention of a relapse. Naltrexone is also used in MAT for maintenance. This drug restricts the euphoric effects of opioids and if you use an opioid while on naltrexone, you will not experience the euphoric effects of the drug. Naltrexone is available as an extended release suspension known as Vivitrol or as a pill. The continued use of medications for opioid dependence in combination with behavioral therapy can be beneficial for promoting sobriety long-term and preventing relapse. This type of detox is controversial because it promotes the ability to alleviate the opioid withdrawal process. Someone going through rapid detox is put under anesthesia and given medication like Naltrexone to start up the withdrawal. In theory, when the person is under anesthesia, he or she will not experience the painful withdrawal symptoms in full spectrum. The one issue with this detox method is that the withdrawal timeline differs for each person and the process is complicated further by the medication combinations administered. This is why most people still wake up experiencing intense withdrawal symptoms even days following the procedure. People with an especially higher risk for experiencing the harmful effects associated with rapid detox include those suffering from preexisting health conditions like psychiatric conditions, insulin-dependent diabetes, elevated blood sugar, prior pneumonia, hepatitis, heart disease, or AIDS. Other patients might not disclose preexisting health problems during psychiatric and medical screenings so they can be approved for rapid detox and this can lead to dire consequences. If your health is in danger for one reason or the other, anesthesia-assisted rapid opioid detox or AAROD can cause life-threatening if not serious health problems. It is advisable to speak to a mental and medical health professional about your options regarding withdrawal and detox programs. The goal of any medical detoxification program is to achieve psychological healing following long-term substance addiction via stabilization and then a detox period. After stabilization the focus of the detoxification is shifted towards monitoring and supporting the different body processes as it eliminates the drug. It is also directed towards the management of the resulting unpleasant withdrawal symptoms. Keep in mind that detox is not a comprehensive treatment for substance addiction. This is because alcohol and drug addiction is psychological and physical and patients will find psychotherapeutic treatment more beneficial. This kind of treatment will address the changes made within the brain as well as the problem of cravings caused by long-term substance abuse. Detoxification may help the patient stop abusing short-term but without therapy and follow-up care, the patient risks relapsing into problematic use. How Does A Medical Detox Work? A physician usually oversees the whole withdrawal process during medical detox. The doctor will use the patient’s long-term goals, medical history, current state of health, and overall history to develop a personalized detox program. This is aimed at reducing withdrawal effects while promoting permanent recovery. A regular detoxification protocol includes drug regimens that allow the individual to taper comfortably off a substance. When someone has a methamphetamine or alcohol addiction, the recovery industry makes use of particular medical treatments to enhance comfort and reduce the risk of complications. The user can wean off the drug safely over time while the medical staff deals with the typical withdrawal side effects such as nutrition imbalances and dehydration. Drug tapering, psychological therapy, medical monitoring, rest, and nutritional support give the patient a more comfortable addiction recovery experience. Inpatient detox programs usually call for isolation of the patient during the process. After checking in, detox patients usually go through an interview process facilitated by the program physicians and administrators. This helps them get a better understanding of all the medical information, logistics, and circumstances that may have an effect on the course of treatment. Patients must disclose any and all details about their past medical history, amounts, frequencies, and substance usage. The detox experience may feel uncomfortable and lonely, even with a good team and bedside manner. As mentioned before, the withdrawal symptoms experienced will vary depending on the type of drug in addition to other factors that come into play. Preexisting co-occurring health disorders- If a patient has a physical condition like chronic pain or a mental health disorder like anxiety or depression, the symptoms may be amplified during withdrawal causing significant distress. Drug Dosage- When someone has been abusing drugs constantly, the body establishes a tolerance so the person will need to increase his or her dosages in order to experience the desired results. If there is an increase in the doses used, the withdrawal symptoms will be increasingly severe as well. Drug Combinations Abused, Alcohol Included- A combined dependence on alcohol and drugs can bring about a unique mixture of withdrawal symptoms that might all worsen each other. The period of addiction- daily substance use for a long time can result in high tolerance levels and more severe symptoms of withdrawal. Inpatient detox or residential detox- this type of medical detox is usually recommended to help the patient avoid relapsing and to ensure they have medical care if there is an emergency. Many of the detox program options are inpatient programs while other are stand-alone programs that facilitate a seamless transfer to the addiction treatment phase after completion of the detox. Other inpatient detox programs will be incorporated into addiction treatment programs to address the underlying psychological problems related to addiction. Outpatient Detox- This program is rarely recommended but it may be an ideal choice in cases of addiction that are less severe. Outpatient detox programs involve regular and frequent check-ins with the medical team and available medication through a methadone clinic or via prescription for proper detox care. In the event that the patient needs to maintain a stable home or work life or money is a problem, an outpatient detox problem can offer the right treatment. A cold turkey detox involves cessation of use of any substances or drugs with only medical supervision to help in the event that there is an emergency. This type of detox does not involve any pharmacological aid and the patient will experience all the withdrawal symptoms in full effect as long as they last. The effects of quitting can be mild or intense depending on the type of drug addiction being treated. Patients opting for medical detox usually stop taking any substances, alcohol included but as they go through the withdrawal symptoms they may be given specific medications for a short period to reduce discomfort. This is known as a short-term medication plan. Patients may be put on a long-term medication plan in order to treat opioid drug use. Long-term medication used may include Suboxone or methadone to keep them from experiencing the full force of their withdrawal symptoms. Regardless of the type of detox chosen by the patient, it is crucial that the process is supervised by a medical professional for it to be safer and more effective.